Upon arrival at our meeting point in Flores at 5am, we were jolted out of our sleepy states when we saw our transport to Belize. Having become used to “chicken buses” and packed shuttles we’d forgotten what an air-conditioned tourist bus looked like but we were gratefully reminded. 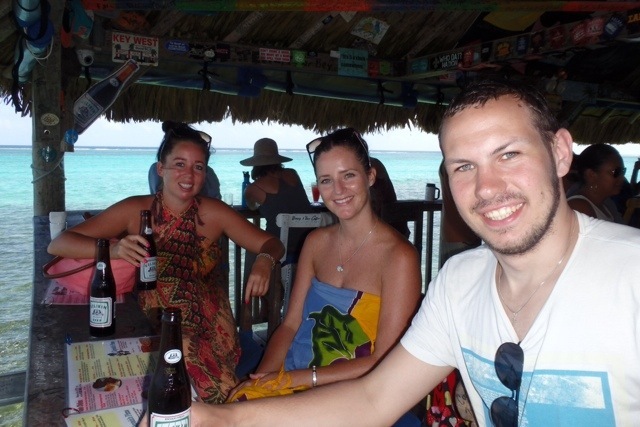 We jumped on our coach, had the pick of any seats on the bus and settled in for our 5 hour transfer to the dock in Belize City. 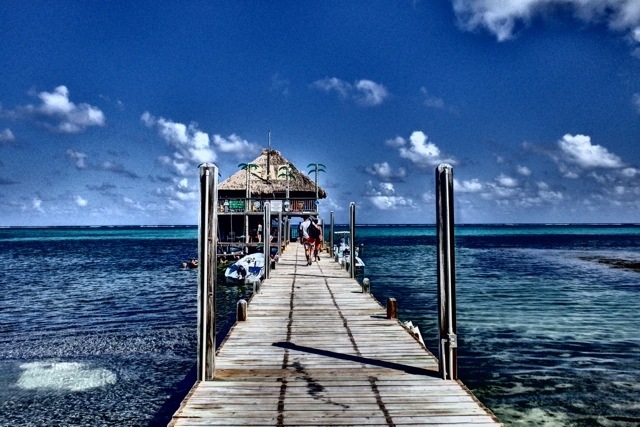 We were greeted by a whole new world when we arrived in Belize City. 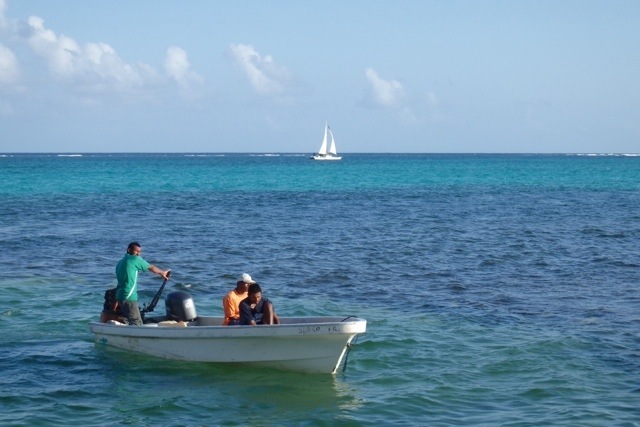 The people looked completely different to those that we’d seen in Central America and they spoke English – joy! – (albeit it with a bit of a Rastafarian twang). 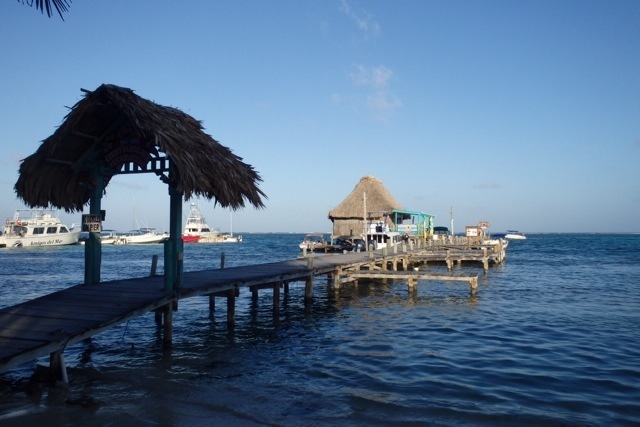 We disembarked the bus and were immediately helped by the ferry staff who took our 2 ton backpacks and loaded them onto the boat bound for Caye Caulker and San Pedro…all we had to do was wait for our 10h30 departure time. 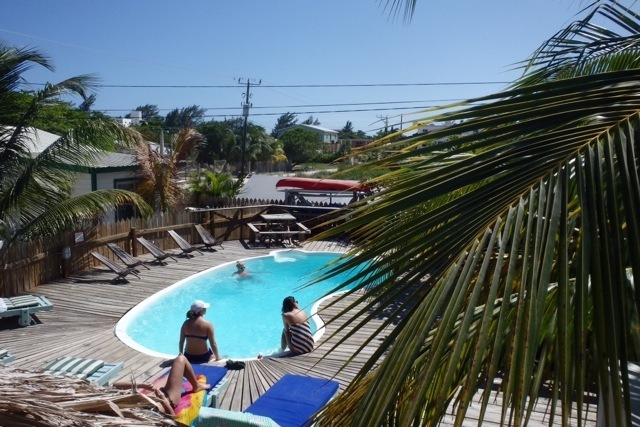 After a 2 hour boat ride we arrived at San Pedro (we decided to go against the backpacker grain, and skip Caye Caulker in favour of San Pedro) and checked into the only hostel on the island…Pedro’s Inn. We spent some time by the pool before heading out to explore the town once the heat of the day had passed…this place was HOT! Whilst we were exploring the town we noticed a lack of cars and an abundance of golf carts. 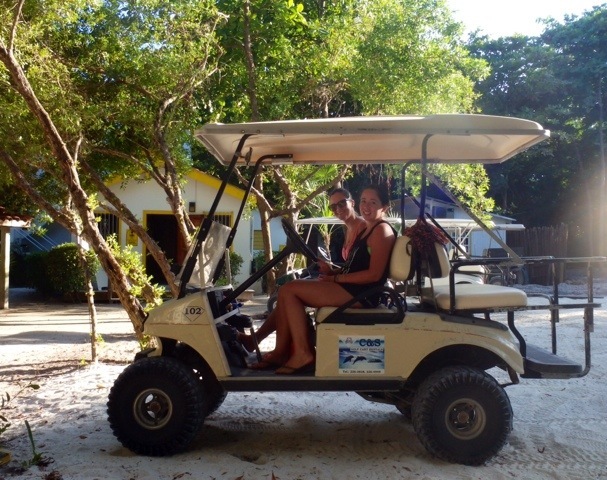 Due to the small scale and concentration of this island most people get around on golf carts or bicycles – but due to the intense heat golf carts seemed to be the most popular choice. Not wanting to miss out on the action we decided to hire a golf cart for the next 2 days we’d be in San Pedro. We shopped around a bit and finally settled on C&S Golf Car Rentals. With all the paperwork signed we were due to pick up our wheels at 8am the next morning. 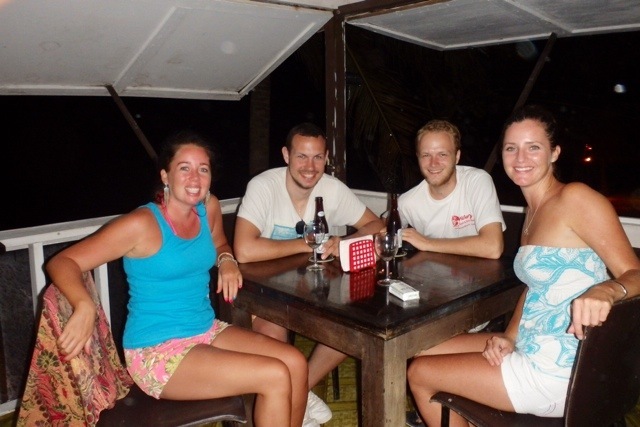 We then grabbed dinner on the beach at Fido’s before heading back to the hostel to meet Tilo and Beeda, 2 of the German guys we met on our Semuc Champey tour in Guatemala, for some drinks. The next morning, the 4 of us went to pick up our ride and headed north. 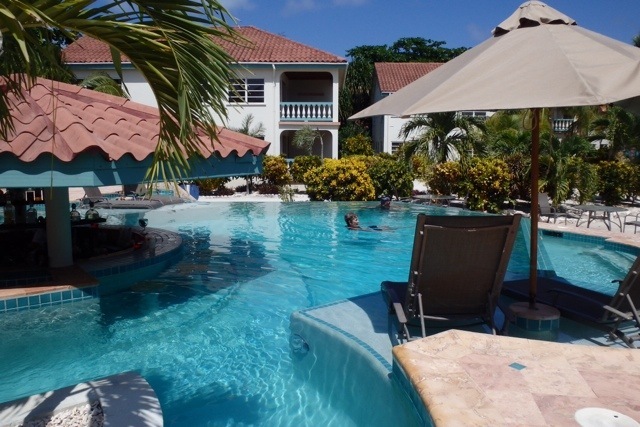 When our thirst became too much to bear we pulled in to Belize Shores Resort for a couple beverages and a dip in the pool. 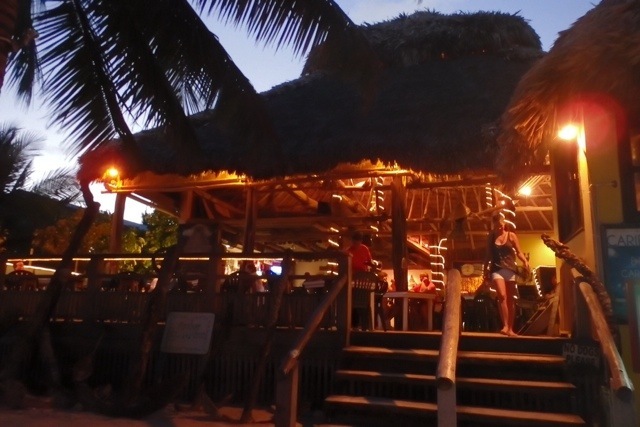 We then stopped in at one of the coolest bars we’ve yet to see…Palapa Bar, situated on stilts in the water, this 2 story drinking hole boasted tubes so you could enjoy your drink whilst bobbing in the ocean, great food, some entertaining decor and most importantly, very cold beers. 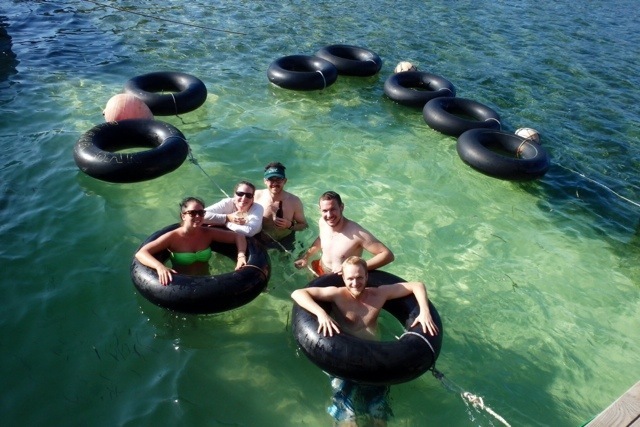 Whilst bobbing in our tubes we got some local advice that Crazy Canucks was the place to be later that day. So when the granny fingers became too much we headed back into town for a bit of a jol at Crazy Canucks. When we arrived, the crowd was a bit more mature than we had expected. But let us tell you that these oldies sure did know how to par-tay! 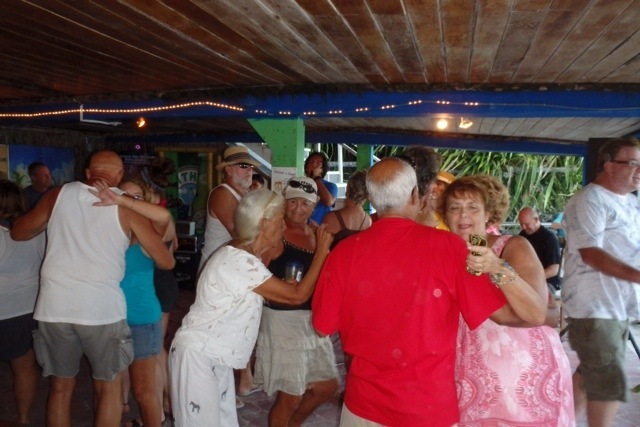 We had a couple drinks, had some chow and then left the oldies to their craziness, live band and all, and headed back to the hostel for an early night as the boys were going diving the next day and we were going snorkelling. 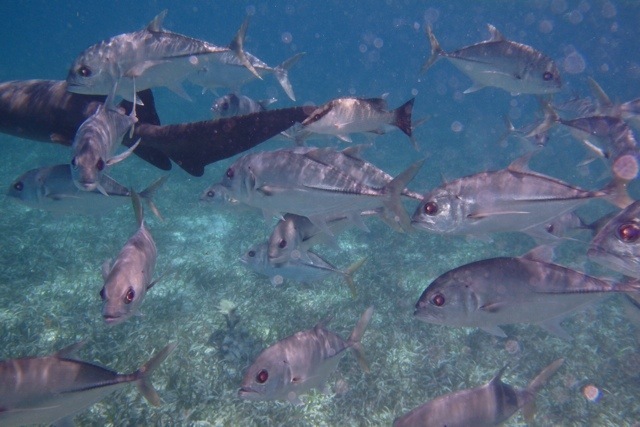 We’d booked the 2 hour snorkel tour which took us to Ho Chan and Shark Ray Reef having being recommended these spots by fellow travellers the day before. 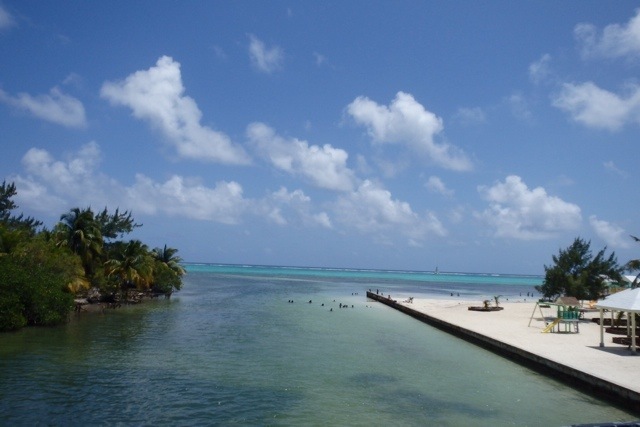 Belize boasts access to the world’s 2nd longest reef, after the Great Barrier Reef in Australia, which runs from Mexico through to Honduras. 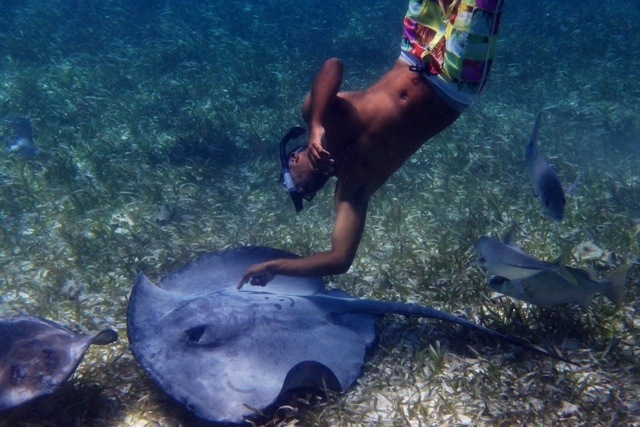 The things we saw, just merely snorkelling, were absolutely incredible. 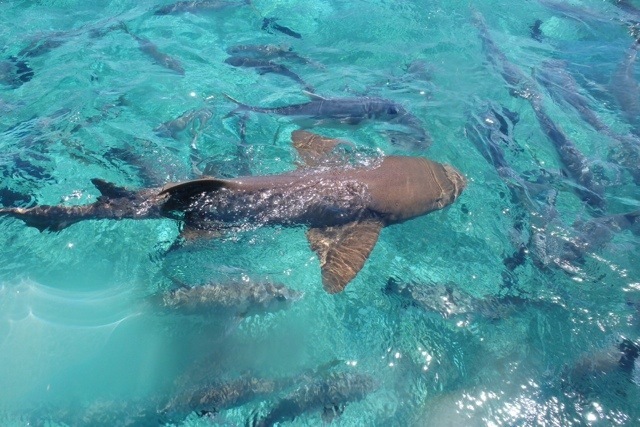 We spent our time floating above this unspoilt marine world, swimming with schools of fish, manta-rays, turtles and even nurse sharks. 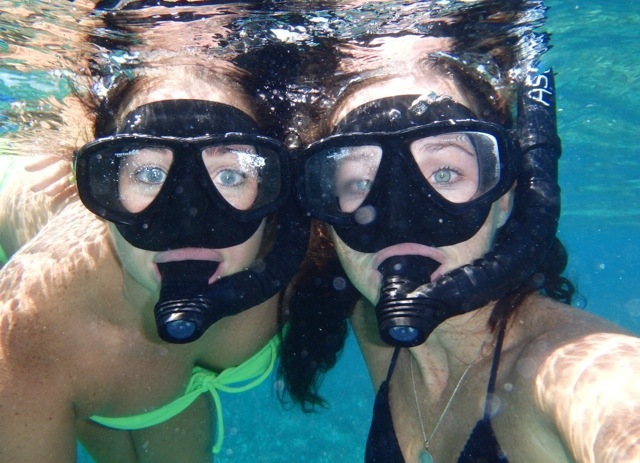 Being the landlubbers that we are and never having scuba dived, this was a first for us and one of the most special experiences we’ve had. Our guide, Canton, was brilliant, knowledgeably explaining all the different types of fish, coral and aquatic life that we were privy to. 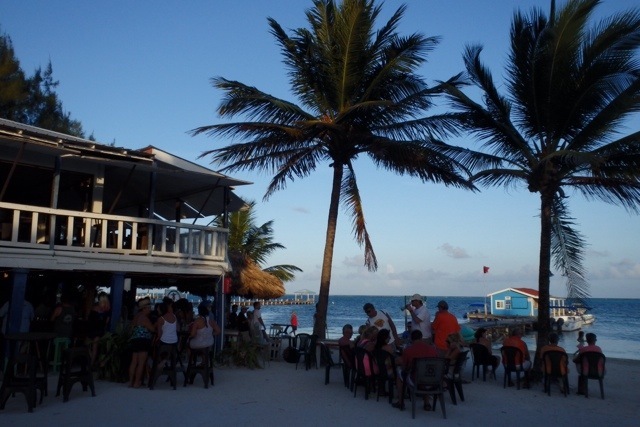 Although we found Belize very expensive, possibly due to the huge American expat community here, it was wonderful to experience the beauty and vigour of this Belizean island. The next day it was time to move on to Mexico as the 4th April was nearly upon us!